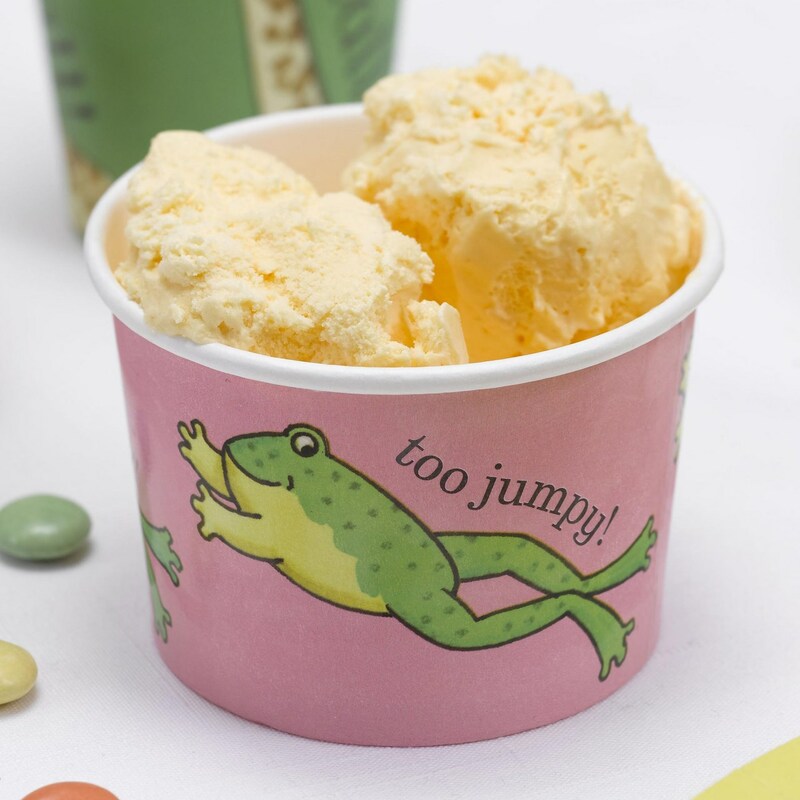 Ideal for parties and Birthday celebrations these Ice cream tubs feature the adorable jumpy frog in vibrant shades of green and pink. These tubs make a great addition to your party table, and can be used to serve a variety of hot and cold treats, from jelly and ice-cream to crisps and other savouries. Each pack contains 8 Ice Cream Tubs.